You know how sometimes you can like a character, then you come across something that shows you that dude or dudette in a different way, and you think 'Wow that character's not just likeable, they're frickin' awesome!' No? Just me then? Fair enough. 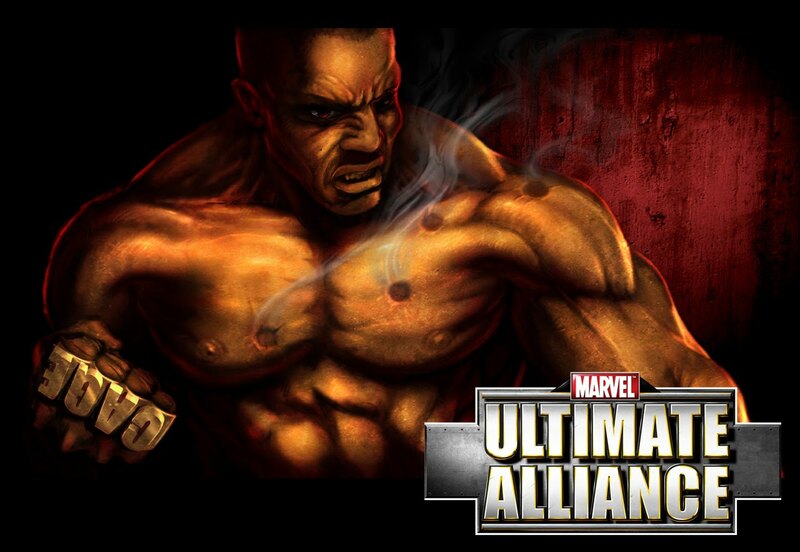 Actually right now that's me and Marvel's Luke Cage. 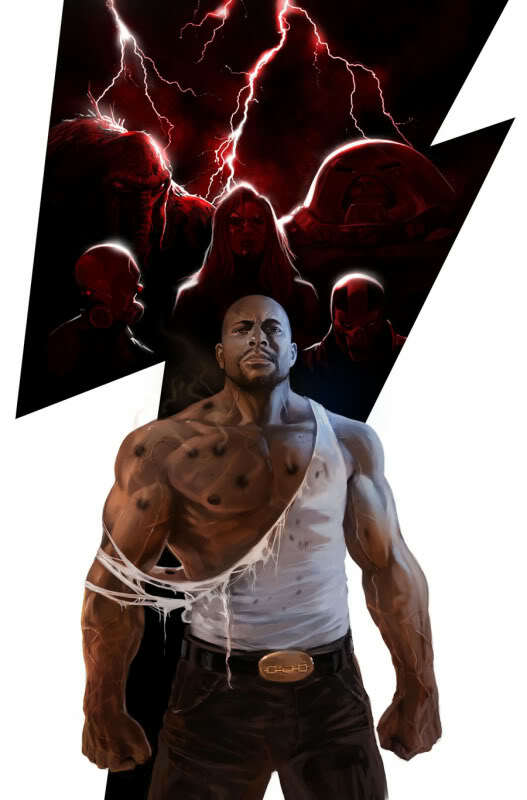 I've always thought the hard-skinned Harlem heavyweight was cool, but now after sitting down for a very rare round of PlayStation I think he's... well, 'Brian Michael Bendis likes Cage' level of cool. The game? Marvel Ultimate Alliance, and while I clocked it many moons ago, one recent sleepless night I plugged it in to play as characters outside my usual Fan' Four picks. Despite having Daredevil, Black Panther, and Spider-Woman onside, after getting hip to Cage, I'm now playing through with 'Retro' Luke in pole position only, and pitting him against Doctor Doom and the Masters of Evil. My personal favourite move, the 'Hammer Toss' where Cage uses his strength and endurance to pick up an opponent, swing 'em round and release them. Especially when the game tops it off with the sound clip 'Stay down or get beat down'. Yip, Cage now fits easily on my top Marvel characters list. Maybe it's time to give his run in Thunderbolts a look see too. Hey, he's only been in there for two issues, and if it's got Luke mixing it with the unstoppable Juggernaut, then it can't be all bad news. I totally agree! Do you know which issue of Thunderbolts this cover is from? It's the little touches that make this art so good! From the bullet marks to the scarred hands to the chain emblem on his belt, this rendition is THE BEST I've ever seen and it totally elevates him from his "Sweet Christmas!" blaxploitation roots to something far, far cooler that I am lobbying pretty hard to see translated to a film adaptation that does him (and Iron Fist) justice! Going through all of their back issues now and LOVING THEM! Hey Smartbomb! Welcome to IADW! The cover at the bottom is from Thunderbolts #144 - Luke's first issue as the man in charge and it deffinitly is a pretty sweet piece. I'm hoping Cage gets the movie treatment too - or even telly series - one that really gives him room to make a mark. By fist or foot!